I am pleased to announce that I have been invited to teach at Hudson River Valley Art Workshops in the Catskills Mountains of Upstate New York. 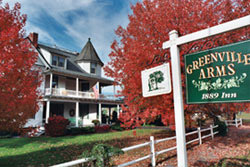 Held at the Green Arms 1889 Inn, workshops organizer Kim LaPolla offers an idyllic, intimate setting for these week long workshops. I will be offering my Photo/Design/Quilt workshop where we explore the connections between composition as expressed in photographs and how these elements translate into pieced quilt designs. 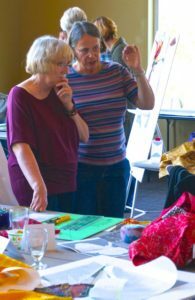 We will be practicing the concept of “Gesture” in composition through a series of photo exercises, then choosing from among your images to develop a pieced pictoral quilt design. We’ll then use a process of fabric auditions to experiment with how differing fabric choices contribute to the overall design and composition of a quilt. Join me October 28 – November 2, 2018 for a wonderful adventure in quilting!.